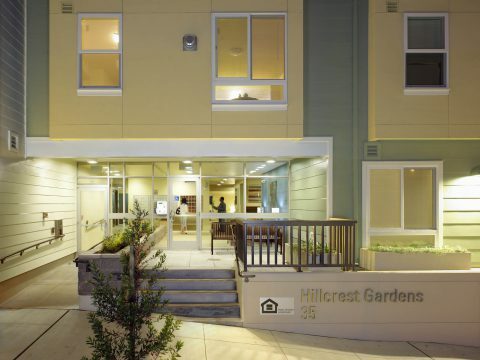 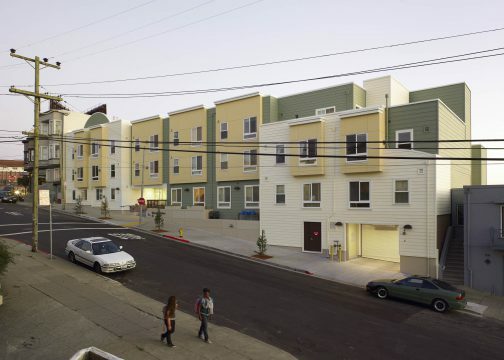 Hillcrest Gardens is a 40 unit affordable senior housing development in Daly City, CA occupying the site of a former parking lot. 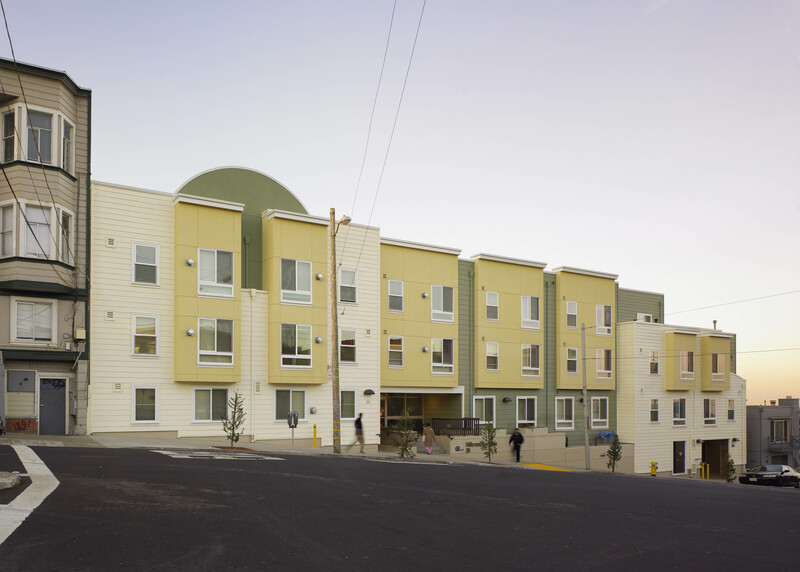 The three-story building sits over a garage podium and is configured as a shallow u-shape, with double loaded corridor, supplying access to all units. 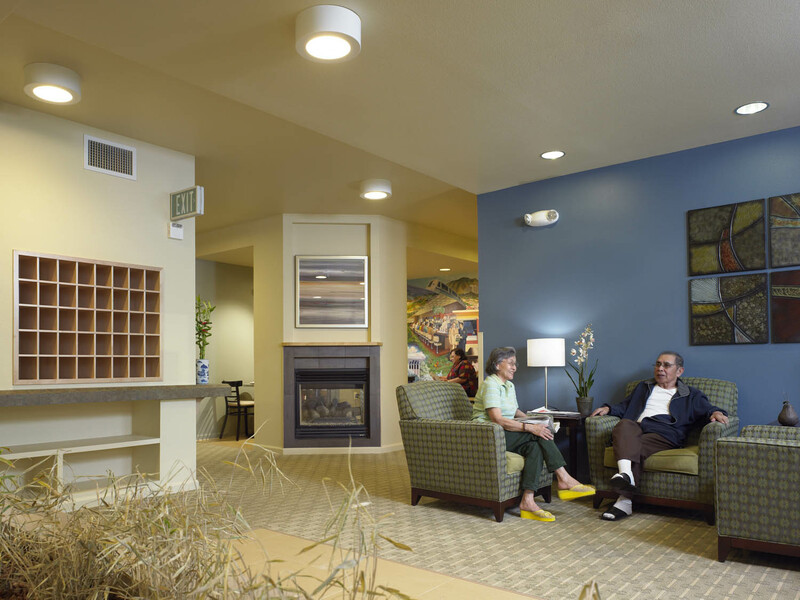 Common spaces are grouped together at the center of the ‘u’ on the main entry floor, providing an area for the residents to gather in a diverse number of settings. 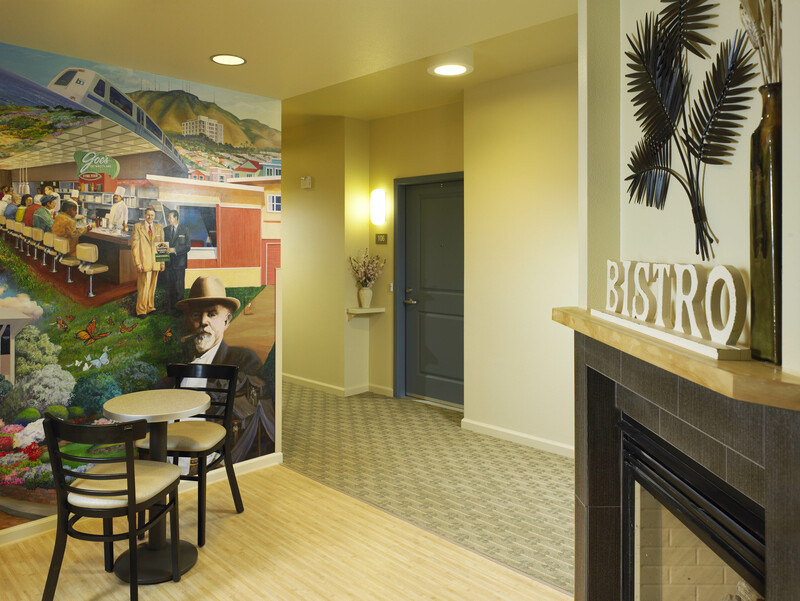 In addition to the computer center, a large community room with kitchen and bistro is available for the seniors and their guests. 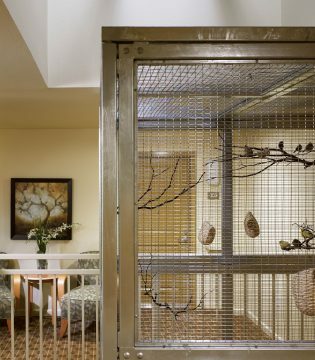 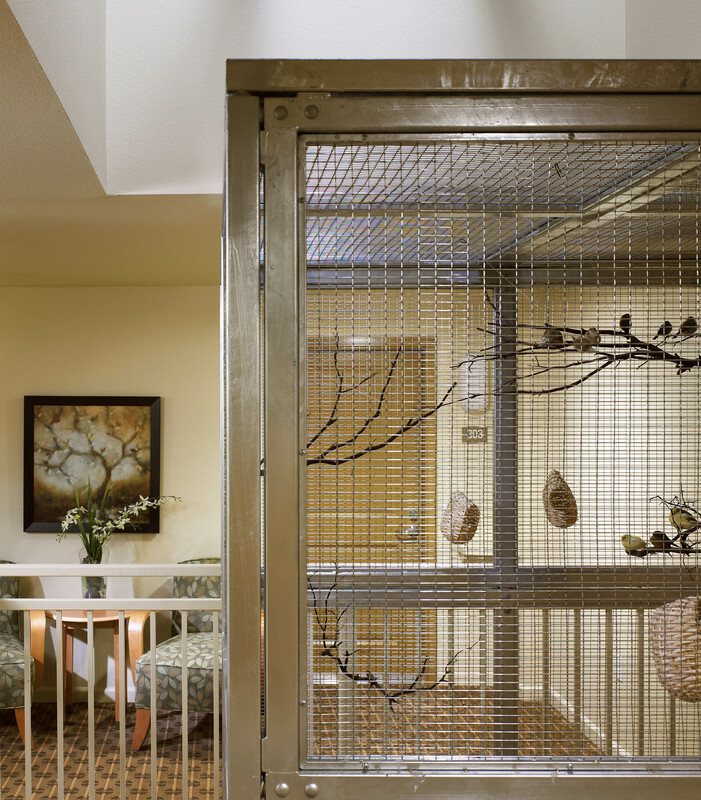 The second and third floor corridors open to a two-story aviary and atrium. 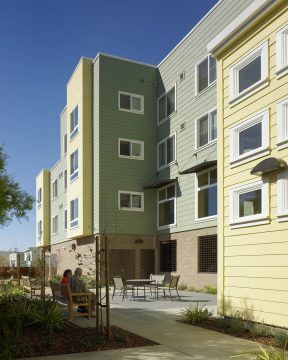 The community garden features raised planters for easy gardening, and from the roof deck vast views of the Pacific Ocean could be enjoyed. Create a safe, convenient, and efficient home for seniors to age in place. To develop a 40 unit affordable infill housing for seniors.